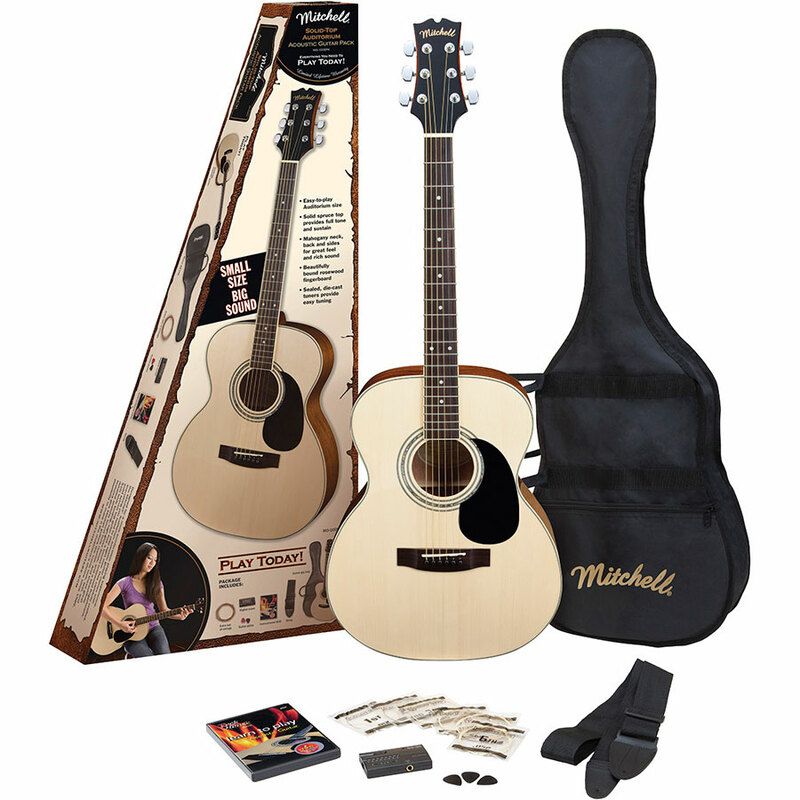 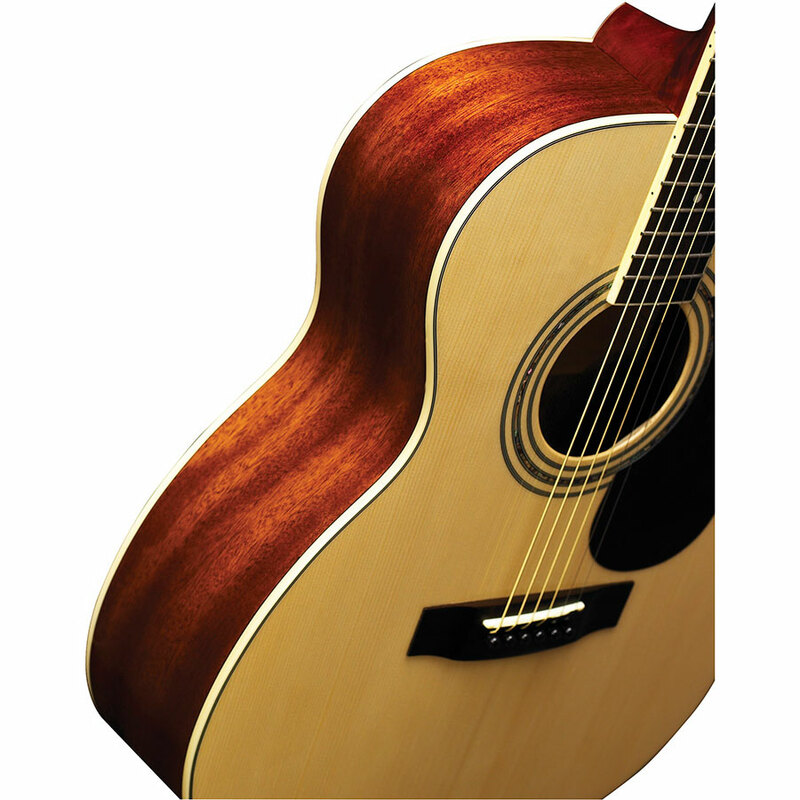 Get the guitar with the big sound, small size and low price in a “Play Today” gift pack! 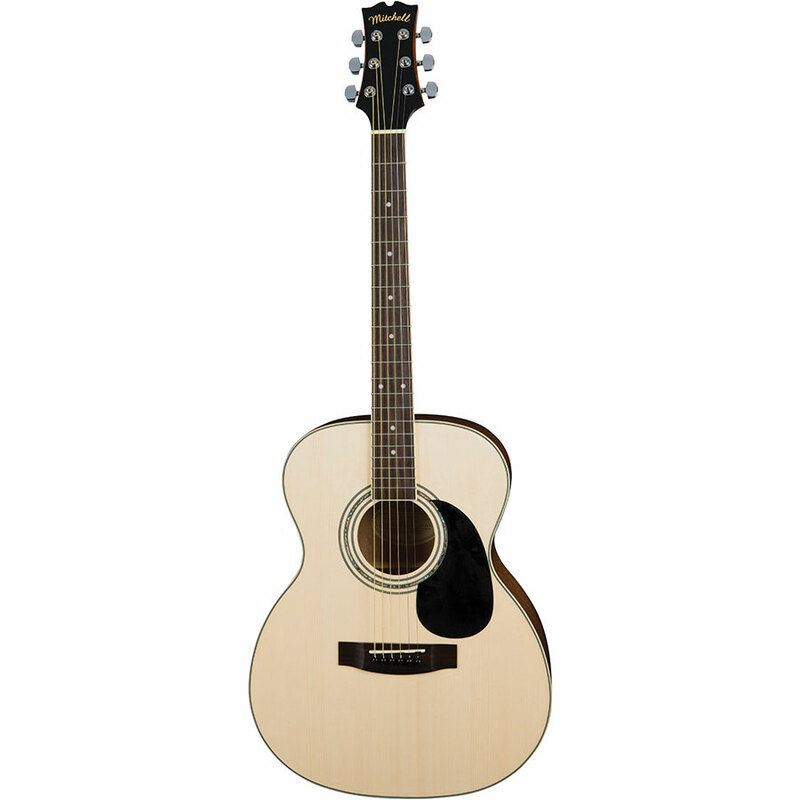 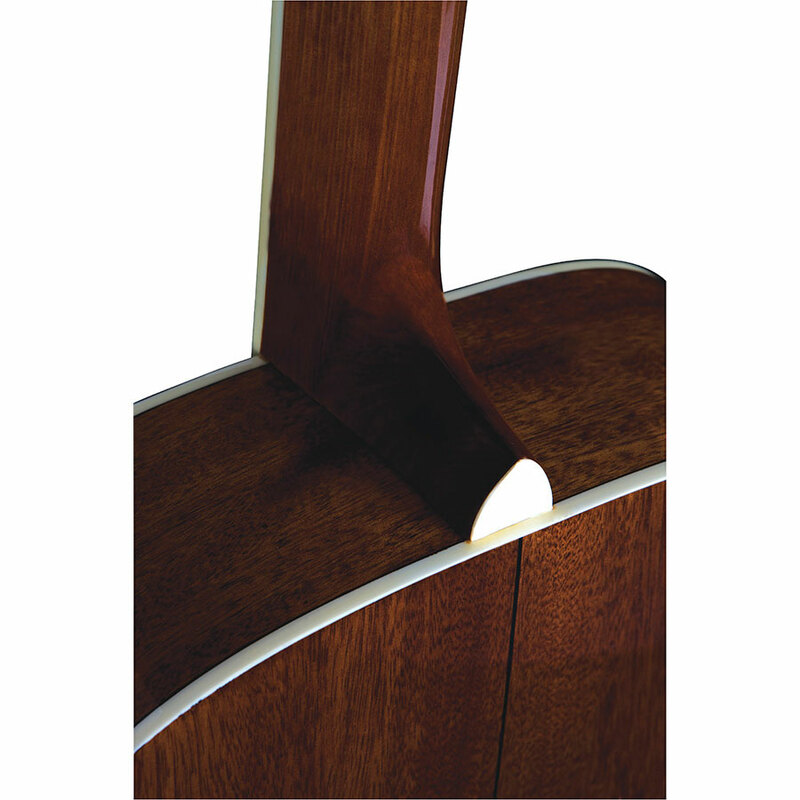 Start playing right now with our “Auditorium” sized acoustic that’s perfect for musicians with smaller hands. 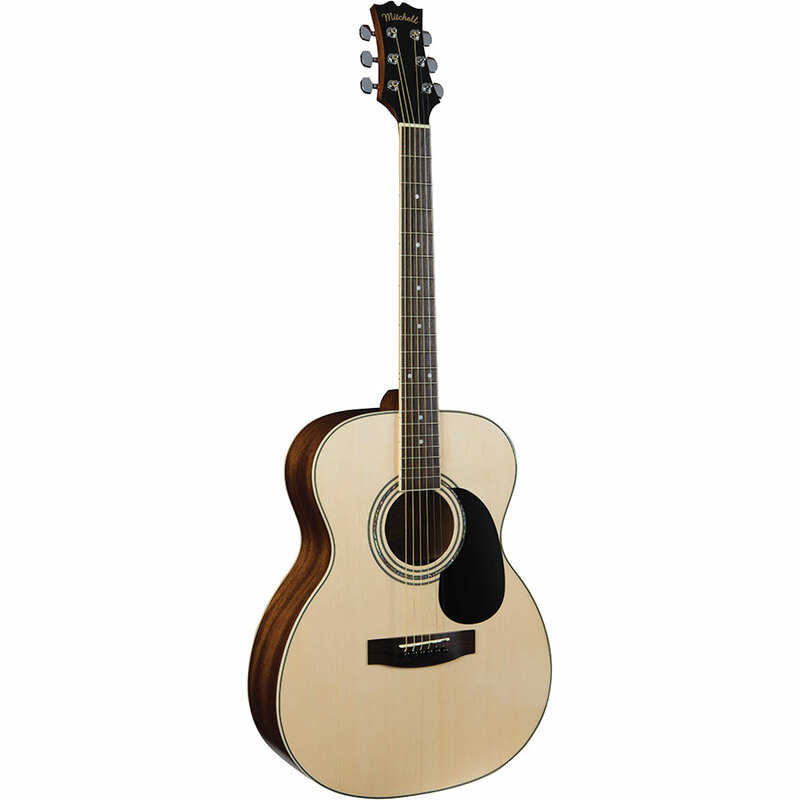 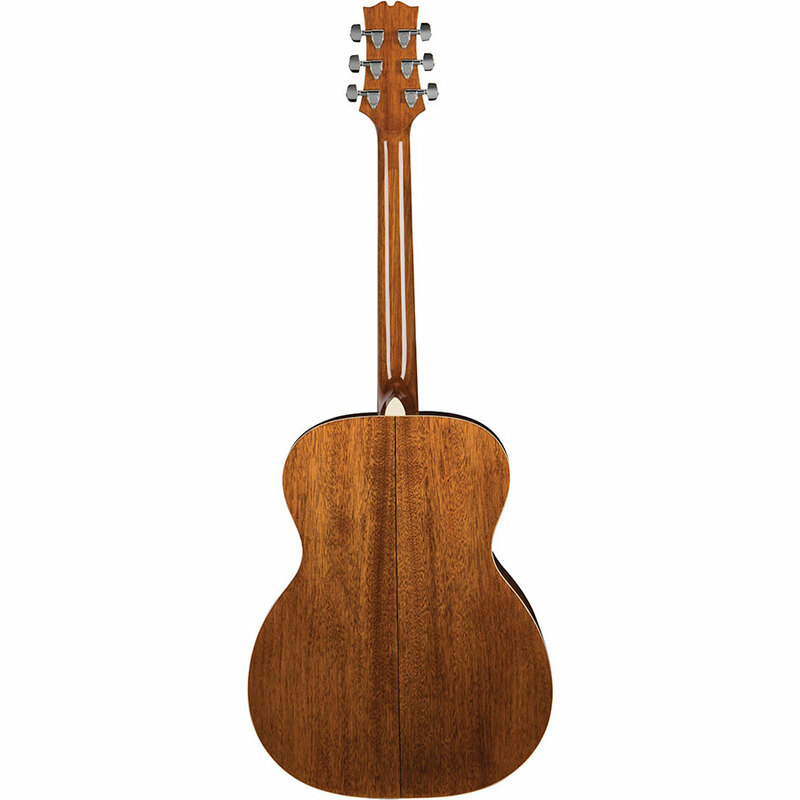 This top quality guitar features a solid spruce top and mahogany back and sides for great tone and remarkably loud volume. 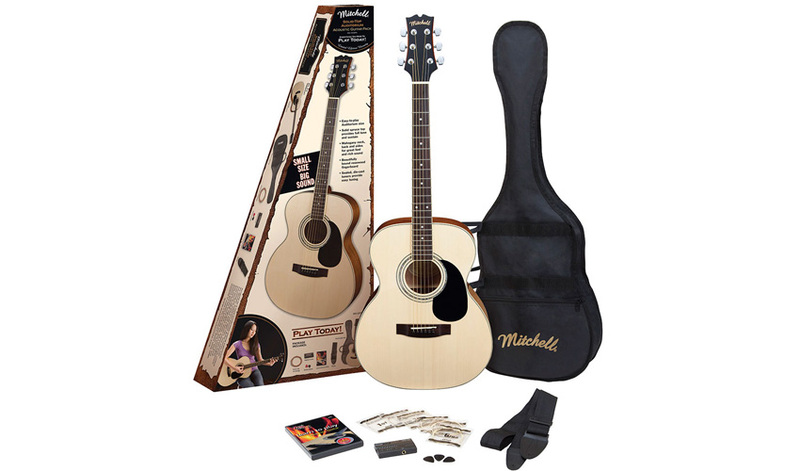 Our gift pack box includes everything you need to get started on your musical journey, including a gig bag, guitar tuner, instructional DVD, a strap, picks and even extra strings. 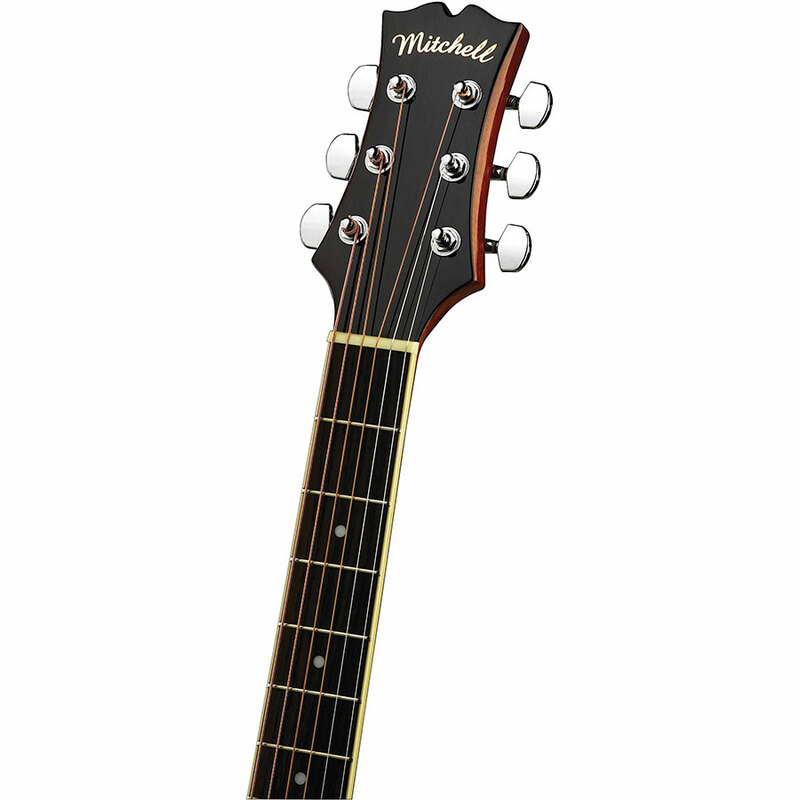 So start playing today – with Mitchell.